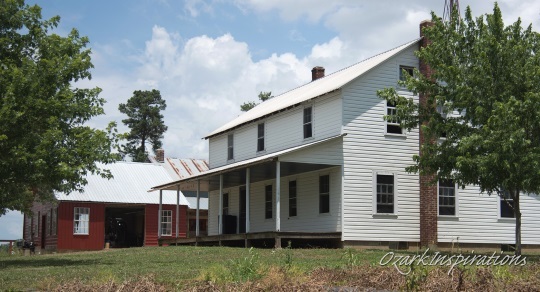 Don Burke, who’s previously shared photos from places like Kalona, Iowa; Jamesport, Missouri; and an Amish “ghost town”, today takes us to the Ethridge, Tennessee community. 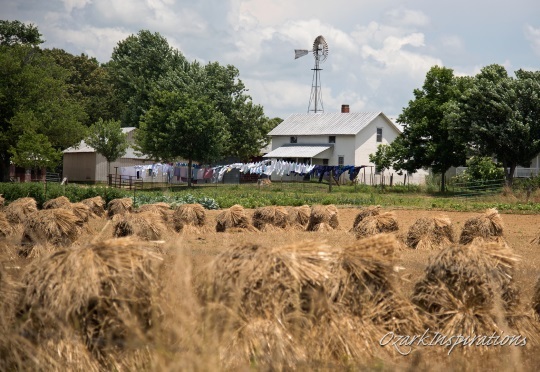 Ethridge is a conservative Swartzentruber community, and depending on how you define the region, the largest Amish settlement in the South. The people here are decidedly plainer than in communities like Lancaster County or those in northern Indiana. 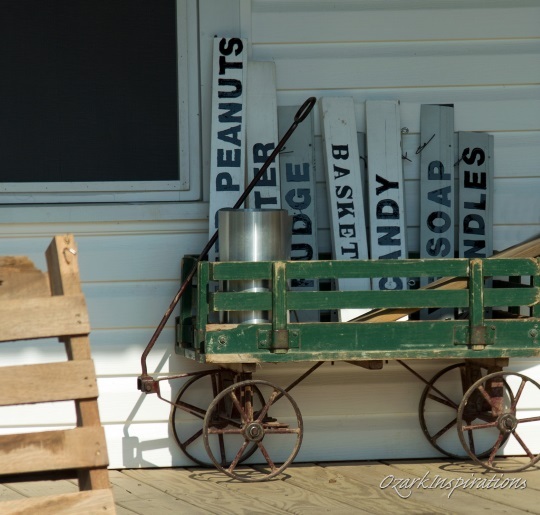 This shows up in many ways including the buggies, homes, and even the simple signs advertising the numerous local businesses. Don invited a friend to help describe what they found on their visit. I’ll let them take it from here. Don: Genieva (and her husband Ken) have been friends for over two years. 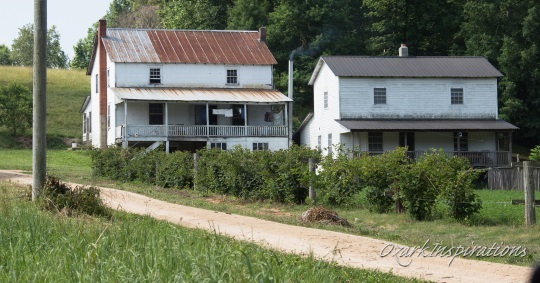 In June of 2016 my wife (Pam) and I went to visit these new friends in Tennessee, and while there we spent parts of two days in the Amish settlement at Ethridge. I’ve invited Genieva to join me in recounting some of the highlights of that trip. So, Genieva, how would you summarize our visit? 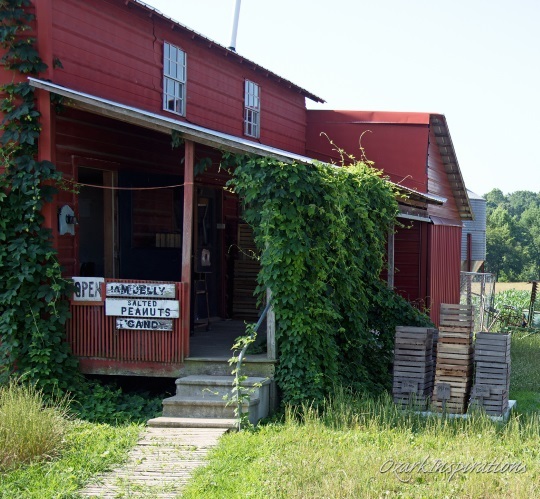 Genieva: Well, the Amish in Ethridge were very conservative, and I wouldn’t say they were especially accepting of tourists. Don: Yeah, I’d have to agree with that. 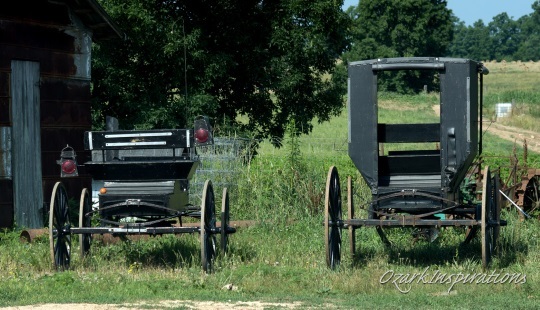 One of the first things we typically notice in an Amish community is the buggies, and here they clearly confirmed that the people are very conservative. They had no SMV triangle, no windshields, and were very sparse with the reflective tape. Some only had two small strips on the front top corner of the buggy for oncoming traffic to see. We also saw an occasional open buggy. 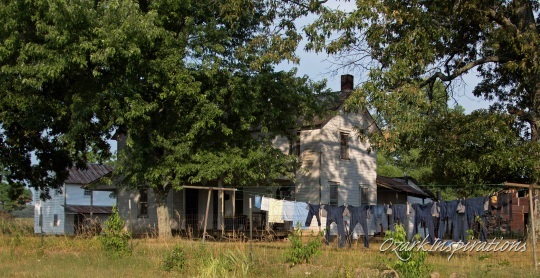 Don: Homes and home life (including what they wore) weren’t really different from what I’ve seen in many other Amish communities. 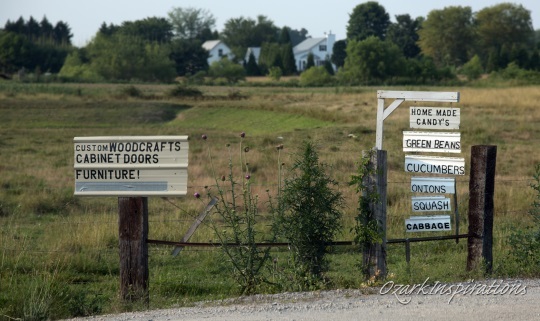 Genieva: Their houses were nice but their yards were not as well-kept as some other Amish groups do. And there weren’t any flower gardens. They had fairly large gardens and many had truck patches and sold produce at a local auction on certain days. 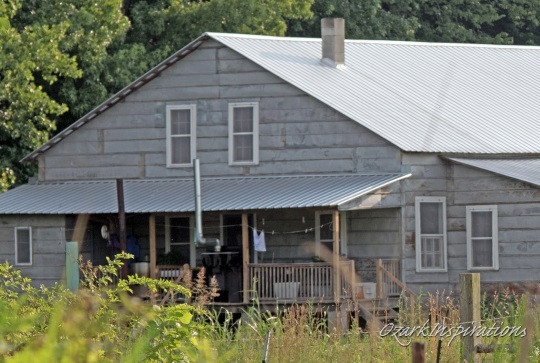 Don: Some of the Amish moved the cook stove outdoors onto a porch during the warm summer months. Genieva: I thought Mondays were wash day, but it’s Tuesday and look at all the laundry. Don: Even with their very conservative leanings, the community does allow small gasoline powered motors to run water pumps and other things at home and in their shops. Genieva: Yeah, we saw pumps with cistern type water-holding tanks. Windmills powered some wells, and some others had gas engines. 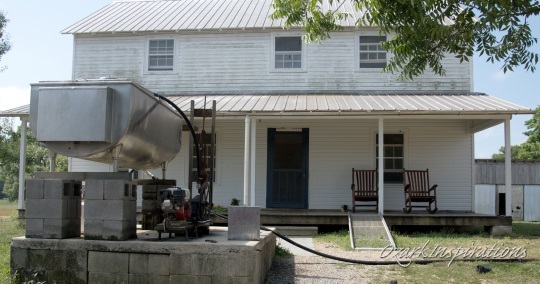 One place had a tank that collected the run-off water from the house gutters. 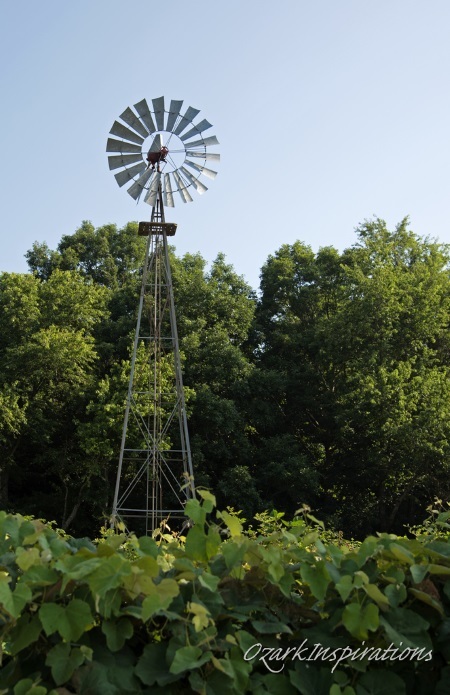 Don: Farming is big in Ethridge. 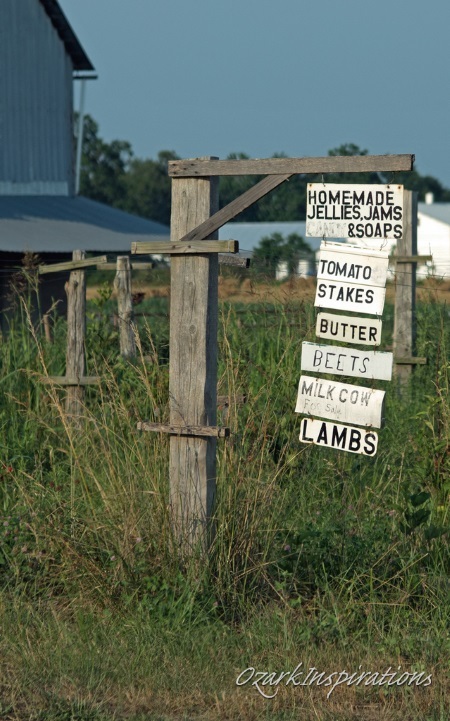 And since our trip was in June, farming was in full-swing. Don: Shocks from the recent cuttings were everywhere, and the subsequent threshing and storage required all hands on deck. 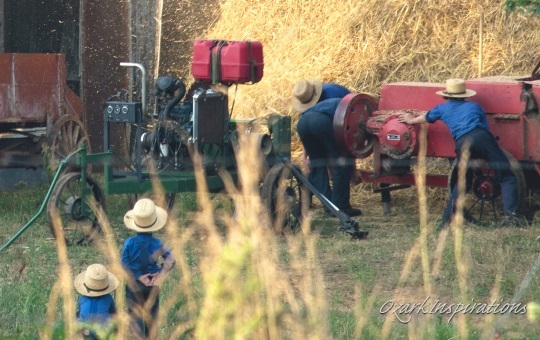 Don: I was really surprised, though, to see a power cart – a quite large gasoline or diesel engine on a horse-drawn cart that is used to power heavier farming implements (often in tow behind the power cart). Genieva: Smoking is allowed, and they raise tobacco (a tobacco field is in the foreground, next to this school yard). 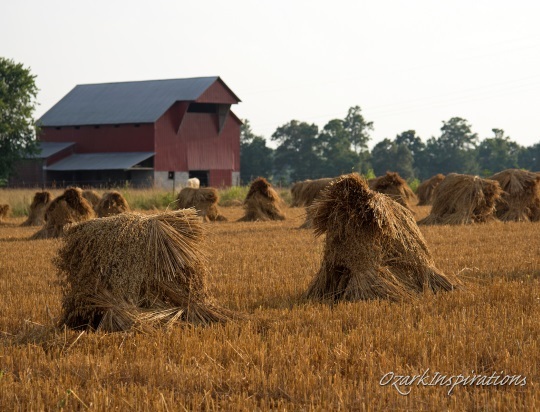 I didn’t see any tobacco barns so I don’t know if they air cure or dark fire the tobacco leaves. Don: Speaking of schools, we did see a few of them in the community. 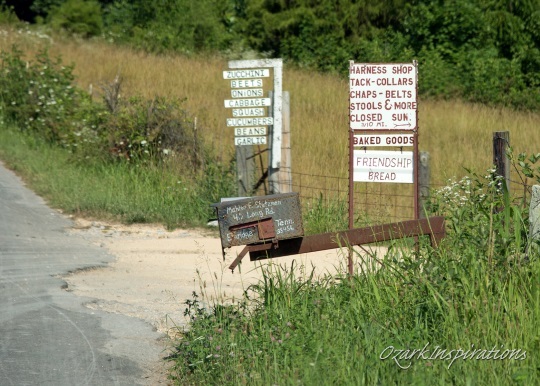 Don: Ethridge has many typical Amish businesses – and with them the typical business signs scattered along the roadside. Genieva: The people at the wood-working shop were friendly. The young man showed us the machinery and demonstrated how they made the some of the pieces they sell. When we left he gave us his business card – a thin piece of wood with a handwritten name and address. Don: The woman that ran this home business (the small building towards the right) was a little more stand-off-ish, but she did interact with her customers. Her little shop had some interesting items, like special-made brooms, wind-spinners, candy, potholders, soap, candles and other locally-made items. Don: Another place we stopped was a little one or two room shop that sold jellies and jams and relishes. Well, folks, that’s Ethridge. Thank you, Genieva, for helping me share our trip. So where shall we all go next? View more photos from Don’s Ethridge visit. 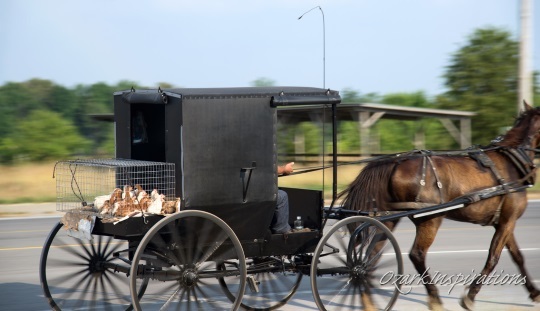 I wish that you all would leave the Amish alone, and stop putting them in a Zoo or a pickle jar like some misfit and comparing them to what you think your lifestyle is better. 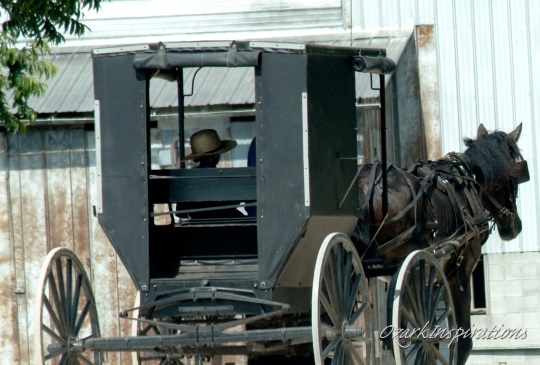 Roger, I can’t speak for anyone else, but as the writer and photographer of this article I can assure you that I have great respect for the Amish, and don’t put them in “a zoo” or “pickle jar.” If anyone reads that idea into the above it’s because they brought it with them, not because I put it there. I am a freelance photographer, and I take something like 50-100k pictures a year — anything from wildlife, to a trip to New England for fall colors, to a cruise to AK, and most recently an interest in the eclipse, moon, and planets. 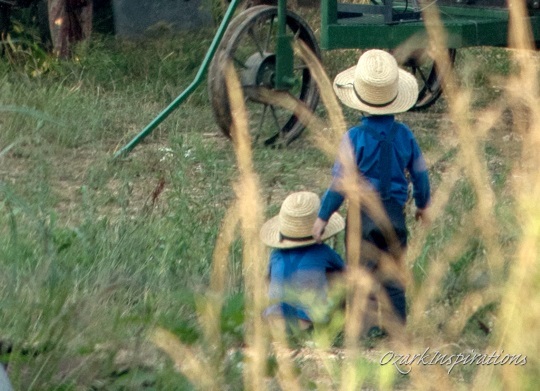 I share those just like I share the Amish pictures — allowing anyone with interest enough to come to a website to view them a chance to share in my experience. This here is nothing more than that very same kind of thing. Seeing the washing machine sure did bring back memories. That is like the one my grandmother used when I was a little girl. She would always caution me not to get my fingers near the rollers or they would get smashed!! Also, in one picture, it looked like a fan in the window. That was a surprise to me. Thanks to everyone involved in bringing these pictures to us. They truly made my day!!! Harriet, thank you for your compliments. I’m so glad that I could contribute to making your day brighter. You mentioned something about a fan in a window in one of the pictures. 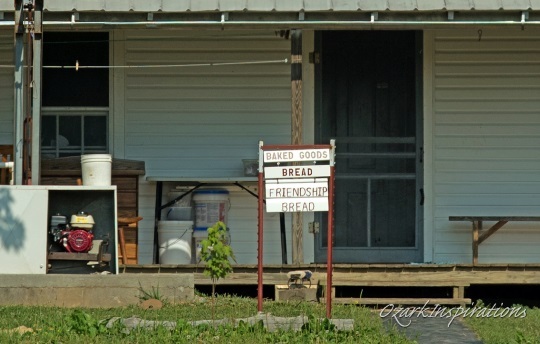 If it is the picture with the “Baked Goods / Bread” sign in front of the house, yes, it kinda does look like a fan. But I’ve looked at the original (which I can greatly enlarge), and I’m pretty sure that it isn’t a fan after all. But if you’re referring to a different picture, please let me know which one and I will check into it. Don’t forget 2nd Saturday in Oct. Auctions plenty going on. Big deal in Ethridge. Thanks for all that you share, it allows us to see places that we probably won’t ever go. So good to have someone to share common interests. Will you share with us where we can see more of your photography? Sure, I’ll be very happy to point you to some links with my work. Great pictures and article. 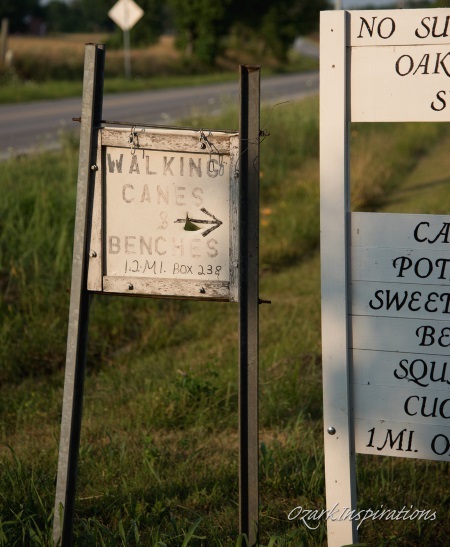 My dream is to travel the back ountry through Tennessee, Kentucky and Ohio checking out the road side stands along the way. If I get to live that dream I will include Ethridge. 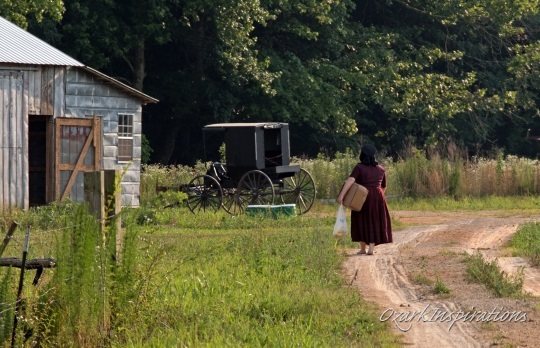 Mr. Burke, as usual I want to thank you for using your talent for photography to highlight the Amish way of life (not easy to do, especially with the more conservative groups.) I also appreciated reading about your visit, as I likely won’t ever get to Ethridge myself. 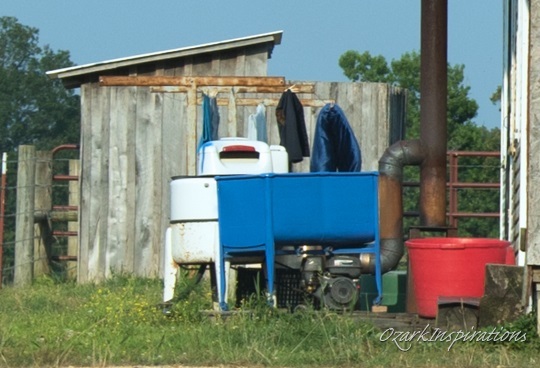 I can’t help but wonder if there are any Amish communities you HAVEN’T been to or photographed? Do you plan an itinerary, or just go where the mood takes you? Sorry to be a little slow in checking back on the thread (still not getting notifications). I appreciate you fielding the question for me, and for mentioning other articles as well. Alice Mary, thank you for your kind words. Sharing my pictures is such a joy for me because of people like you — those who enjoy the chance to see a little of what it is like in places that they may never get the chance to visit in person. Thank you.